Holds and stores up to six cups or mugs. 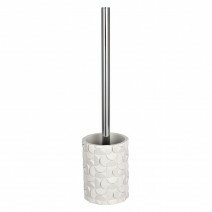 Stylish design and finish will help brighten your kitchen. Wide base keeps it safely stable and upright. 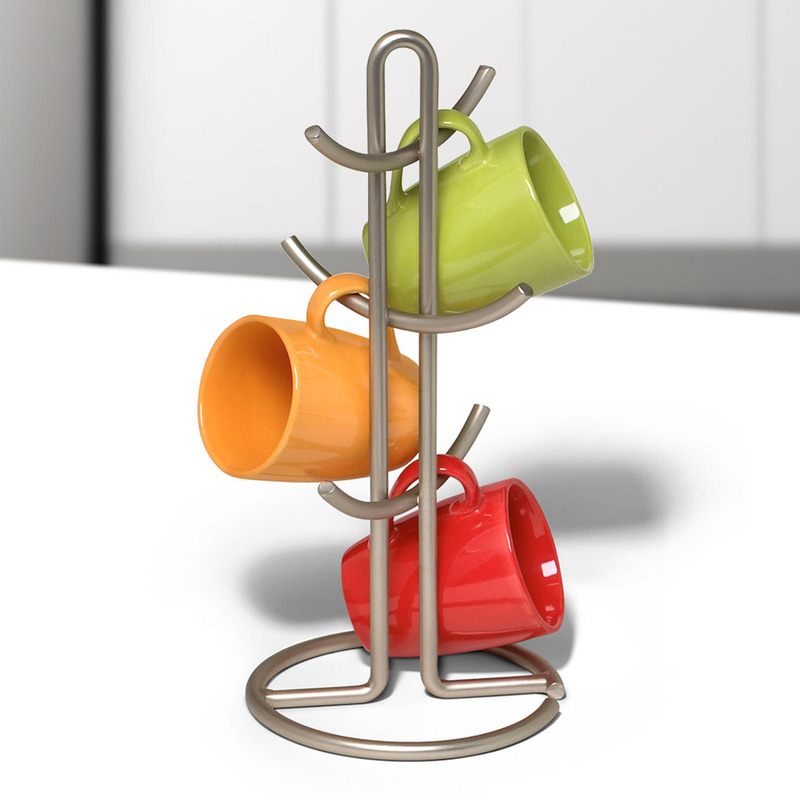 You can free-up precious cupboard space in your kitchen with this Euro Mug Holder by Spectrum. It holds up to six mugs or tea cups on your kitchen bench, making it easier to have a break or show-off your mug collection. The holderls clean design will instantly add a modern touch to your kitchen, while your cups and mugs help brighten the room. Made of strong steel and stylish satin nickel finish. Goes with the matching Euro Napkin Holder and Euro Utensil Holder – buy all three today and take advantage of our low flat-rate shipping cap! Another quality Spectrum home storage and organisation product.